Heart of the City and Sustain Jefferson have partnered with the Midwest Renewable Energy Association (MREA) to coordinate a solar group buy in and around Jefferson County, Wisconsin. The advantage of a group buy is the power of volume purchasing, which can significantly reduce the up-front costs of installing solar on your home or business. The Glacial Heritage Solar group buy is open to greater Jefferson County property owners within the Glacial Heritage Area. To view a map of eligible locations outside of Jefferson County, click here. 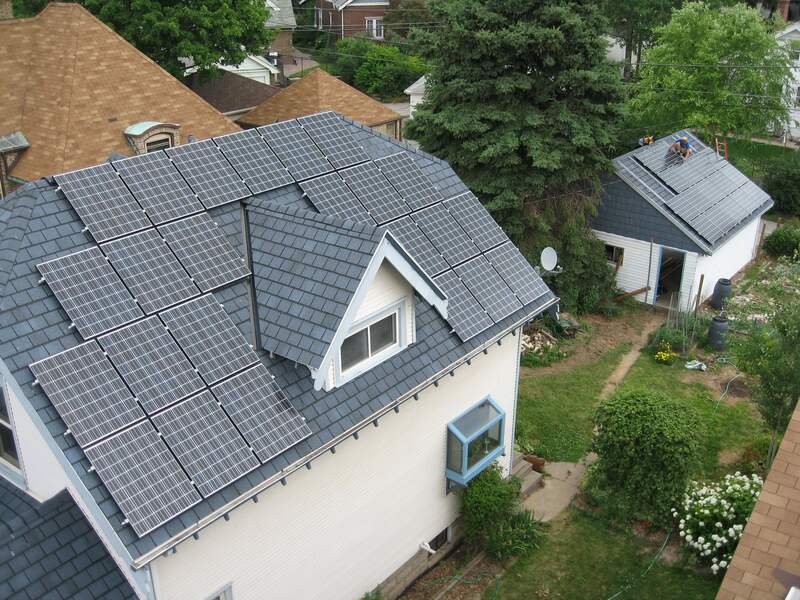 Dozens of solar group buys have been completed across the country in cities including Portland, Milwaukee, and Chicago, and in states from California to Vermont. Common elements that have led to success include competitive contractor selection, community-led outreach with a trusted community partner, and a limited-time offering. Competitive Contractor Selection: Glacial Heritage Solar’s Advisory Committee is comprised of representatives from the MREA, Heart of the City, Sustain Jefferson, and local residents. The MREA will issue a competitive Request for Proposals and select a single installer to help carry out the program. This way customers get the simplicity of working with a single installer, plus the confidence that the selection process was competitive. Limited-time Offering: Nothing motivates people like a deadline. Participants have until August 31, 2018 to decide whether to go solar. Installations will take place throughout the program. The time-sensitive nature of the group buy adds urgency into the mix, and helps bring the price down for everyone. How? Read on. The key ingredient for most participants is the pricing for the group buy. The competitive installer selection process ensures the program achieves a price per watt lower than what an individual would generally be able to get on the market. In addition, the price decreases for everyone in the group buy when certain benchmarks are surpassed. Pricing offered through the Glacial Heritage Solar Group Buy is not guaranteed to be the least expensive rate for all solar arrays. Larger solar arrays may be able to achieve stand-alone economies of scale that allow for a lower overall cost. Individuals should consider all their options before signing a contract. How is a solar installer able to offer such low prices through the program? There are two important factors: strong customer education and an economy of scale. Strong Customer Education: Community outreach and education are crucial to program success. MREA, a 501(c)3 nonprofit provides renewable energy training and education, works with local organizations to schedule and facilitate a number of one-hour Solar Power Hours around the community. These events help interested homeowners determine whether solar is right for them. We’ll go over the basics of solar, financials, how to tell if your site is ready for solar, and how to participate in Glacial Heritage Solar. Getting well-informed participants to the table saves the installer hours and hours of marketing and education they would otherwise have to do themselves, and in turn, saves you money. The solar installer for this program was selected through a competitive Request for Proposals in early 2018. Full Spectrum Solar is a locally owned, environmentally conscious company focused on providing their customers with the best possible solar energy installations. Full Spectrum Solar was founded in 2002 by Madison natives and UW-Madison mechanical engineering graduates, brothers Burke and Mark O’Neal. Since then, they have installed more than 600 quality systems in south-central Wisconsin. Design your solar energy system, and prepare structural, electrical, and layout drawings as required for your building, zoning, and electrical department. Submit all required applications and associated documentation for building, zoning, and electrical permits, and for approval to interconnect to your utility company. Submit your Focus on Energy Reward reservation, as well as submit and track your Focus on Energy Reward confirmation. Construct and interconnect your solar energy system with our team of experienced and licensed tradespeople. “Full Spectrum Solar is proud to partner with MREA to offer the best value in solar energy systems to homeowners and businesses throughout Jefferson County. We look forward to sharing our passion for solar energy through this tremendous partnership,” said Burke O’Neal, Full Spectrum Solar Director/Owner.